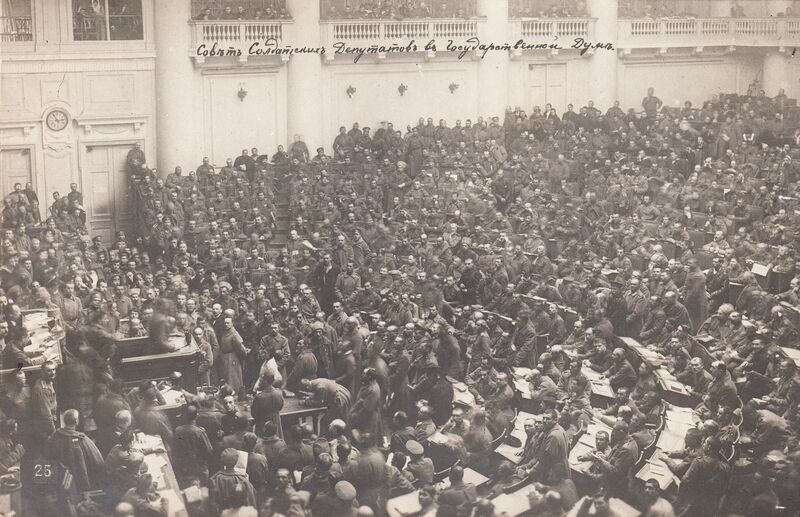 No single event played a bigger part in shaping the course of the 20th century than the Russian Revolution of 1917. As the hundred year anniversary of this epoch-making rising of workers and peasants approaches, so too has a deluge of listicles, hot takes by noted scholars like Condoleezza Rice, and even the odd revolution themed rap battle. While the sheer volume of content marking the centenary does convey its continued importance, more often than not these commentaries seem more interested in stringing together jokes about Stalin’s mustache with clichéd lines about human nature undermining Marxism than they do in helping capture the promise, potential, and, ultimately, tragedy of the revolution. 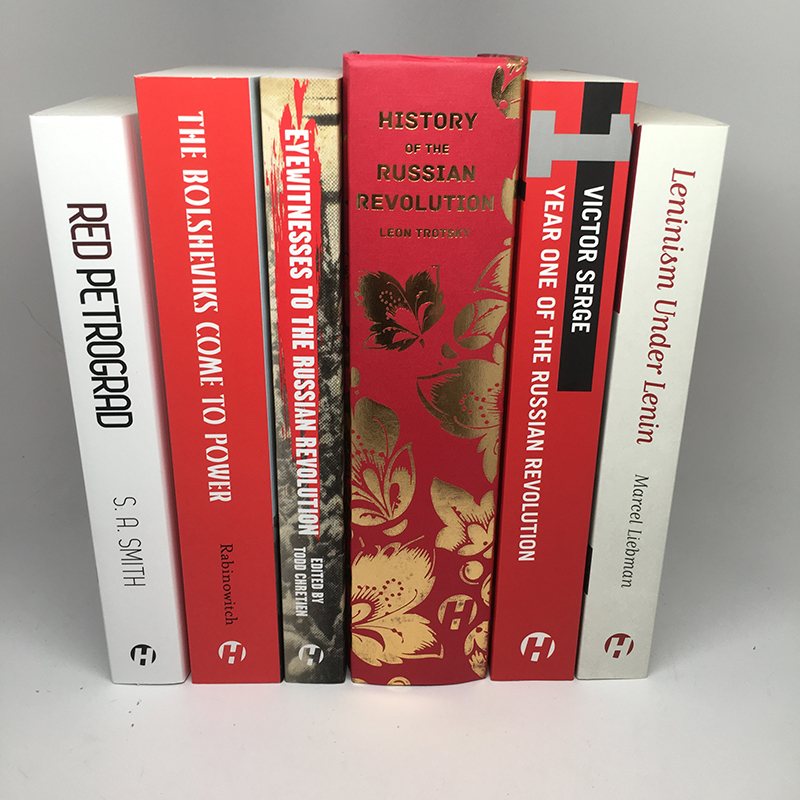 As the most successful and inspiring example of regular people challenging the Capitalist system and setting out to build a better, more just world, we here at Haymarket have made a priority of publishing books on the Russian Revolution for as long as we’ve existed. Below is a listing of what we think are some of most important books—some that we’ve published, others that we wish we published—for today’s activists looking to learn the lessons of the Russian Revolution. History of the Russian Revolution — Leon Trotsky’s towering retelling of the year’s events remains among the most gripping works of history ever written by anyone about any subject. The benchmark for all later histories of the revolution. October Song— A panoramic account of the Russian Revolution of 1917 and its aftermath  animated by the lives, ideas and experiences of workers, peasants, intellectuals, artists, and revolutionaries of diverse persuasions. Eyewitnesses to the Russian Revolution— This important new reader selects gripping accounts from participants and firsthand observers of the revolution to let them tell the inspiring, heroic, and sometimes tragic story of what happened over the course of 1917. Year One of the Russian Revolution — Of all the chroniclers of the Russian Revolution, few besides the anarchist-turned-Bolshevik Victor Serge combine an unswerving commitment to the truth with an unwavering belief in the justness of the revolution’s cause. Year One is his account of the revolution’s turbulent first year. The Bolsheviks Come to Power — Alexander Rabinowitch’s now classic account is the definitive scholarly rebuke to those who continue to see the revolution as a coup carried out by an elitist Bolshevik Party against the wishes of the Russian masses. October — Arguably the best place for those newly acquainted with the revolution to begin, this gripping narrative history by acclaimed weird-fiction author China Miéville is replete with madcap flotillas, monarchs in thrall to mystic wanderers, and numerous other happenings that would seem at home in a work of fiction, but are drawn from the actual historic record of the revolution. Leninism Under Lenin — Marcel Liebman captures Lenin’s thought in all its complexity, fallibility, and strategic genius. Focusing in particular on the democratic dimension to Lenin’s socialism, this award-winning account is a great way to get acquainted with the twentieth-century’s best-known revolutionary. Lenin and the Revolutionary Party — Paul Le Blanc’s treatment of Lenin is notable for its attention to how his understanding of the theory and practice of revolutionary politics existed in a dynamic relationship with the movement around him. What emerges is not only an insightful portrait of Lenin himself, but a vibrant engagement with the mass struggle for socialist democracy. On Lenin — Trotsky and Lenin shared a complex, often fraught relationship. Nonetheless, these two biographies of Lenin, published together for the first time, show Trotsky’s respect for a fellow revolutionary whom he admired, but certainly never worshipped. The State and Revolution — This is an indisputable classic, despite being written beside a Finnish swamp while Lenin was on the run between the February and October revolutions. The State and Revolution lays out the fundamentals of Lenin’s strategy for seizing power and building socialism. Alexandra Kollontai — A key figure in the 1917 revolution and the last surviving member of the Central Committee of that year, Kollontai’s contribution to the socialist movement was unparalleled. Cathy Porter’s biography is not only an unparalleled biography of a dynamic revolutionary, but an engaging retelling of the course of the revolution and counterrevolution in Russia. Midwives of Revolution — Women’s role in the Russian Revolution was not limited to leading a mass strike on International Women’s Day. On the contrary, they were constant agents in struggle, often on the front ranks. Revolution and Counterrevolution in a Moscow Metal Factory — Kevin Murphy’s shop-floor level portrait of vibrant working-class democracy provides a much-needed antidote to revisionist accounts of the revolution as inevitably leading to Stalinist dictatorship. Alexander Shlyapnikov 1885–1937: Life of an Old Bolshevik — From his involvement in the 1905 revolution to his execution under Stalin, Alexander Shlyapnikov was an irrepressible force for workers’ power, whether under tsarism or a degenerating Soviet bureaucracy. Red Petrograd — A deeply engaging study, unmatched in its depth, of factory life in Petrograd over the course of Russia’s revolutionary year. Ten Days that Shook the World — A masterpiece of political reportage, Ten Days has become the essential firsthand account of the revolution in action. Reminiscences of Lenin — As both Lenin’s closest political collaborator and personal confidant, Nadezhda Krupskaya offers invaluable insights into the life and thought of the most important leader of the Russian Revolution. Lenin’s Moscow — Alfred Rosmer’s memoir of early revolutionary Russia is both highly readable and historically indispensable. From its opening chapters recounting the author’s journey across war-torn Europe’s hostile borders, to the death of Lenin on its closing pages, this is a gripping and unique eyewitness account. Leon Trotsky: An Illustrated Introduction — Amusing, well-researched, and accessible, this is the perfect primer on the life and thought of the great leader and chronicler of the Russian Revolution. The Life and Death of Leon Trotsky — Written by celebrated author Victor Serge and Trotsky’s wife Natalia Sedova, this is a unique presentation of Leon Trotsky. Covering Trotsky’s early activism until his assassination by one of Stalin’s agents, this book provides an invaluable picture of a great revolutionary and the world-historic events in which he was a leading actor. The Stalinist Legacy — Featuring contributions from Tariq Ali, Isaac Deutscher, and Ernest Mandel, this volume deepens our understanding of the origins, impacts, and enduring prominence of Stalinism, so as to help exorcise these ghosts of the past. From Lenin to Stalin — Another entry by Victor Serge, From Lenin to Stalin is a brief yet sharp analysis of the revolution’s degeneration. Russia: From Workers State to State Capitalism — To millions throughout the world, the Russian workers’ state offered new hope. This book charts the demise of that liberatory project, while hailing the inspiration it continues to provide. For a full list of Haymarket titles on the Russian Revolution, click here.